Ollie offers a great selection of HIGH quality recipes at an awesome price when comparing competitors; in addition, Ollie recently updated their packaging to be more sustainable while still remaining easy to use. 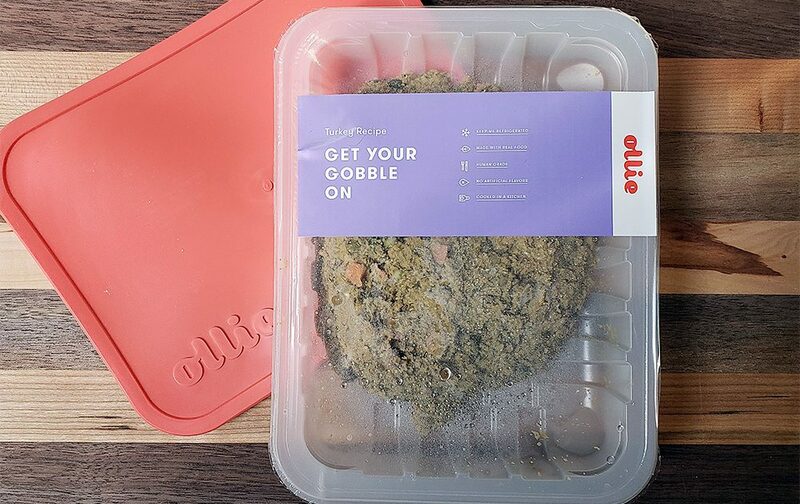 Myollie.com is a subscription fresh dog food delivery service that stresses the importance of providing real, quality food to your pup every meal time. The company’s biggest draw, however, is the state of the art algorithm that helps pet parents to get unique, personalized formulas that meet their dogs natural needs. This is particularly helpful when switching from dry dog food kibble, as it can be tough to know how much fresh food you should give your dog. Ollie tells you exactly how many calories your dog should eat and will ship you perfectly portioned meals. Trial offer: Ollie is offering Woof Whiskers readers 50% off your first order when you order through this link or the button above! The discount is automatically added during checkout. I received my package of Ollie very early in the day; I quickly opened the box and all of the food was VERY cold, which is always nice to see given the heat wave we were in. Ollie’s box and marketing materials are similar to The Farmer’s Dog – both have very cute and creative sayings stamped on the box. It really adds to the unboxing experience and makes it fun. In addition to the 14 days worth of food in my initial order, there was a welcome packet containing detailed feeding instructions, an AWESOME rubber lid to cover the pre-portioned containers (we absolutely love their packaging – more on this below), and a complimentary bag of probiotic supplements to help make the transition to fresh dog food. Ollie really prides itself on making use of high quality ingredients and believes that proper nutrition is the key to a long life for our pets. In order to help guarantee that your dog gets the nutrition he or she needs, the folks over at Ollie calculate a number of factors based on your pup’s breed and weight, among other things, and then sets up a customized set of feeding guidelines to match your dogs nutritional demands perfectly. In order to help guarantee that every package of food ordered from Ollie’s is ideally suited for your pet, the company employs a number of canine nutritionists who oversee every step of the process. Those nutritionists have also helped to develop new and unique cooking methods that help to lock in nutrients but still preserve the tastes that your pets love, making sure that not only will your pet be healthy, but he will also be happy every time he sees his Ollie box arrive. It’s not a very pretty plop of food, but Sasha sure loves it. Ollie’s texture is definitely more ground up compared to all others we reviewed, including Pet Plate, NomNomNow, and The Farmer’s Dog. With that said, you can still see big chunks of the real food in there, which is not only a reassuring sign that this food is legit, but also because it forces your dog to chew a bit instead of inhaling it! The thicker plastic packaging really adds up quickly when feeding a large dog like I do. At first I loved the packaging, until I saw how much I was going through. You DEFINITELY need to recycle when using this service. Ollie doesn’t currently offer any kinds of samples, but they do give curious pet parents 50% off on their first delivery. For those that do decide to take that step and order a box, the signing up process begins with a series of questions that allow the company to get the best feel for what your pet needs. 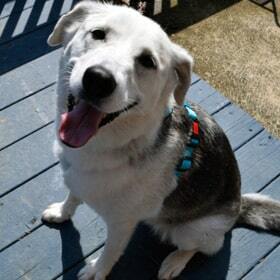 Everything from dog breed to whether or not your four-legged friend has been spayed or neutered is taken into account before users select what kinds of food their pet is currently eating (dry, wet, raw, home cooked, etc). Ollie’s tailored plans make it easy to order. From there, the sites goes on to ask what your pet’s favorite protein is and then checks for any allergies. 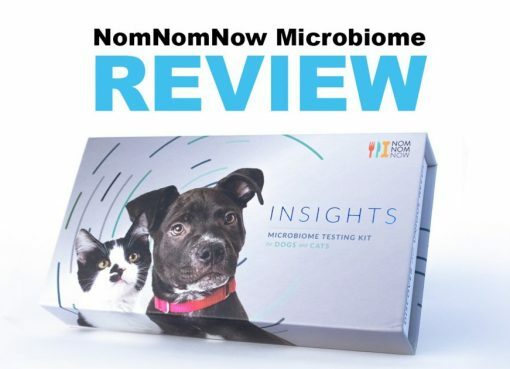 Once this is all entered into the system, the website then calculates a meal plan and gives the user a recommendation, as well as a series of other options to choose from based on what they think would be the best fit for their pet. You can also select how often you would like the food to be delivered, with three different options available (All Ollie, with 28 meals every two weeks, Mostly Ollie, with 21 meals every 2 weeks, or Some Ollie, with 28 meals every 4 weeks). As an added bonus, the company offers free shipping as well, a tipping point which just might lure in some pet parents offset by the high prices associated with many other delivery services. Finally, after setting everything in motion, the prepackaged meals come ready to eat right to your door. And as one final perk, the company also provides users with a resealable tray lid and a custom serving scoop, to help guarantee that the right amount of food goes into your pets bowl every time. While we’re suckers for awesome company branding (and Ollie did an amazingly creative job in this aspect), what we (obviously) care about most is the quality of food. What screams high quality dog food more than human grade ingredients? 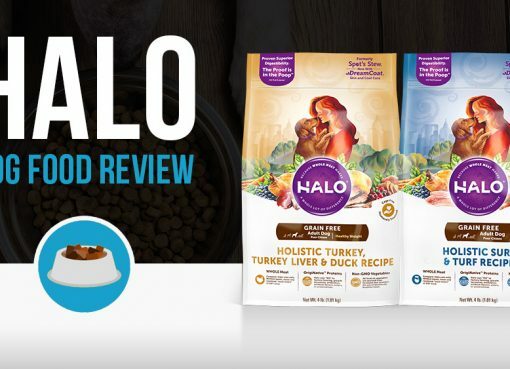 Ollie makes our list of best dog food. Just don’t try to cancel it. I have been emailing them for 3 months and they just keep charging me. I have made it clear I want to cancel and they just talk about losing all my emails. I am done with this company. I bought this food and am not happy with it! I put it in the refrigerator and after a few days the plastic cover bubbled up. I don’t think it’s goid to feed it to the dog. I wAnt a complete refund please! !